John Constable was the first English landscape painter to take no lessons from the Dutch. He is rather indebted to the landscapes of Rubens, but his real model was Gainsborough, whose landscapes, with great trees planted in well-balanced masses on land sloping upwards towards the frame, have a rhythm often found in Rubens. Constable's originality does not lie in his choice of subjects, which frequently repeated themes beloved by Gainsborough. 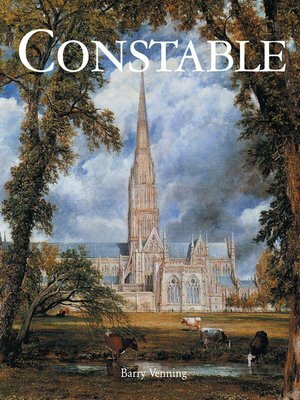 Nevertheless, Constable seems to belong to a new century; he ushered in a new era. The difference in his approach results both from technique and feeling. Excepting the French, Constable was the first landscape painter to consider as a primary and essential task the sketch made direct from nature at a single sitting; an idea which contains in essence the destinies of modern landscape, and perhaps of most modern painting. It is this momentary impression of all things which will be the soul of the future work. Working at leisure upon the large canvas, an artist's aim is to enrich and complete the sketch while retaining its pristine freshness. These are the two processes to which Constable devoted himself, while discovering the exuberant abundance of life in the simplest of country places. He had the palette of a creative colourist and a technique of vivid hatchings heralding that of the French impressionists. He audaciously and frankly introduced green into painting, the green of lush meadows, the green of summer foliage, all the greens which, until then, painters had refused to see except through bluish, yellow, or more often brown spectacles. Of the great landscape painters who occupied so important a place in nineteenth-century art, Corot was probably the only one to escape the influence of Constable. All the others are more or less direct descendants of the master of East Bergholt.